I discovered that I had uploaded, but never posted a whole bunch of videos from earlier this year I shot on the riverfront. 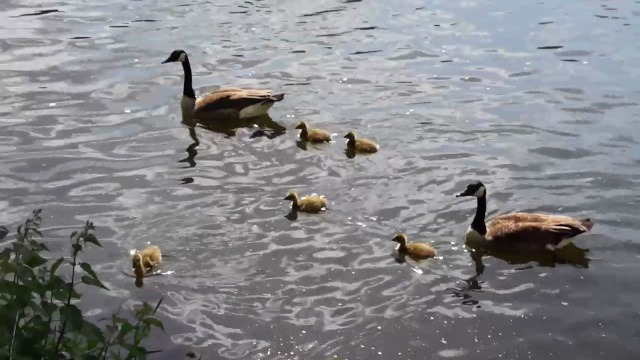 So here’s the first one with the Canada Geese and its brood from May 22! If the self-hosted video in this post does not work properly for some reason, go to the Youtube video below, but the one hosted on my own webspace has a slightly better quality because it was not re-encoded once more. I’d still appreciate a Like on the Youtube video and following my Youtube Channel is a good idea too, since I sometimes post videos there a couple of hours before I publish them here!